Earlier this morning, I was in desperate need of a quiet, mess free activity for Claire so I could nurse a cup of tea and fight off the cold my mother so kindly shared (thanks Ma). The fact that I managed to sneak in a little literacy lesson on Read Across America Day (happy birthday Dr. Seuss!) was an added bonus. A random piece of package wrap compliments of IKEA and a bit of tracing…and voila! 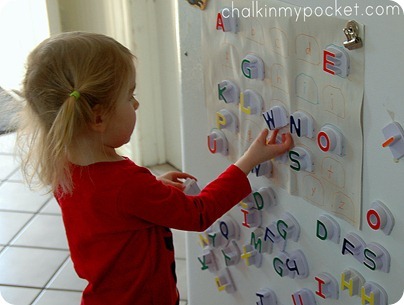 A matching activity and letter identification lesson rolled into one. Learn your letters kid, and one day you too will be reading Fox in Sox. 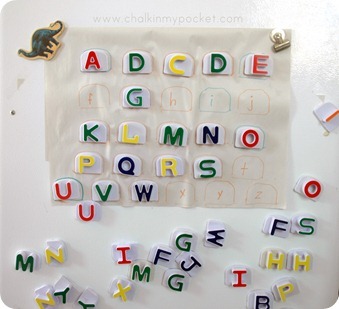 I think this is my favorite use for those letter magnets everyone seems to have gathering dust on their fridge! As Claire matched up the upper and lower case letters she practiced their sounds and joyfully sang the alphabet song to her cousin Jessica on the phone. Things don’t have to be visually perfect for a quality learning activity, sometimes something quickly whipped together and hand drawn is just as good as what you can buy in the store. Good times this morning. Now if you’ll excuse me, I’m off to find some chicken soup in the freezer. Hope you're over your cold soon. 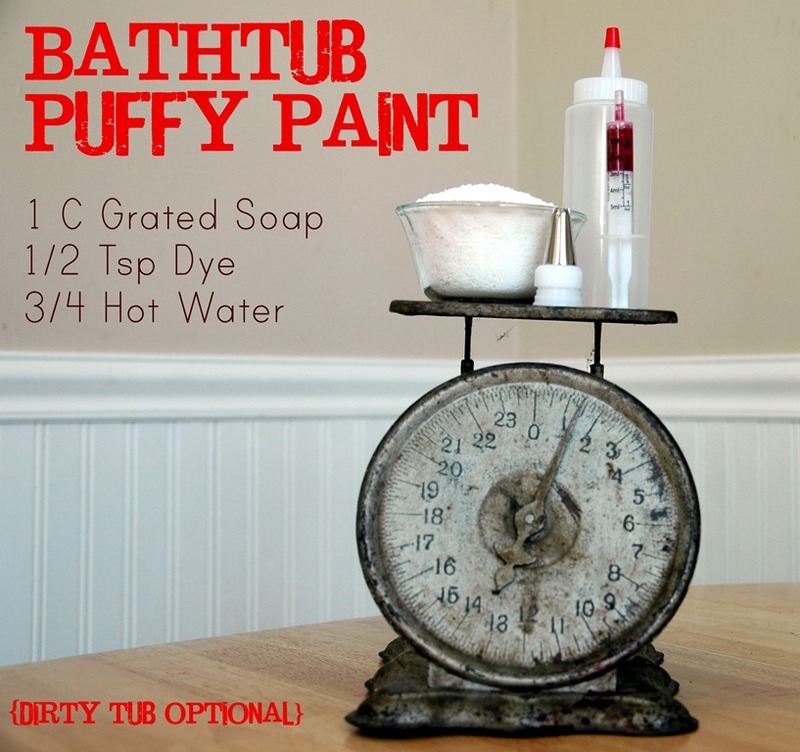 This is such a great way to reuse the letters! Easy, and using something I already have! Thanks! 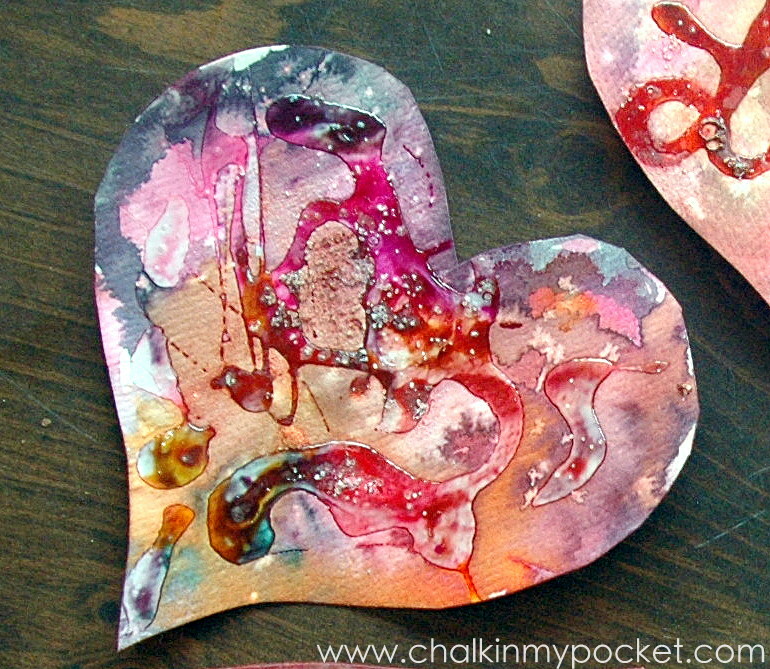 I forgot to mention that I enjoy your blog so much I've “liked” you on my Creative Connection facebook page.